Deep Healing Ministries - DO DEMONS RULE NATIONS? DO DEMONS RULE OVER NATIONS? Yes, demons do rule over nations. According to the Word of God, every nation has one or more demons assigned to wreak havoc on the people in that nation. It is fair to say that every nation also has more than one angel who seeks to bring prosperity to that nation. A tremendous spiritual battle is going on behind the scenes for the good or bad of every nation. Daniel 10 records the story of a messenger angel, Gabriel, who appears to Daniel as a man. The angel was sent to answer Daniel’s questions about when the Seventy-Years -Babylonian-Captivity would end. The story really begins in Daniel 9 when Daniel was confessing Israel’s sin and praying for forgiveness for his people. While he was praying, the angel Gabriel arrived to give him an answer about God’s upcoming plans for Israel. Gabriel told Daniel that his prayer was answered three weeks earlier. The reason for the delay in getting the message to him was that the “Prince of Persia” engaged Gabriel in battle and impeded his progress. Michael the Archangel was dispatched to neutralize the Prince of Persia and free Gabriel to continue his journey to deliver God’s “Truth” to Daniel. The Prince of Persia was a demonic spirit that ruled over the land of Persia. As described in places like Job 1-2, spiritual battles between demonic and angelic hosts affect earth and are occurring behind the scenes all the time. The spiritual battles over nations manifest themselves on earth in economic, sociopolitical realms. For example, it’s hard to imagine the state of Nevada as being anything other than demonized. Gambling, prostitution, Mafia activities, drunken-inspired weddings, lewd dancing and floor shows, out of control use of drugs, alcohol abuse, abortions and broken lives are more than just sins of the flesh as described by Paul in Ephesians Chapter 4. The demonic strongholds in that state are practically unshakable. In the biblical tradition, I believe that it’s safe to say that the Prince of Nevada is having a heyday! While it appears that some demonic spirits are assigned to specific territories, others are free to roam here and there. For example, in Daniel 12:1 we’re told that Michael the Archangel is the protector of “God’s people” Israel. Not all of God’s people live within the boundaries of Israel. Michael fights to protect God’s people wherever they may be. The Bible teaches that Satan is the ruler of this present earth. “The devil led him up to a high place and showed him an instant all the kingdoms of the world. And he said to him, ’I will give you all their authority and splendor, for it has been given to me and I can give it to anyone I want to. So, if you worship me it will all be yours” (Luke: 4:5-7). The point is that Jesus did not challenge Satan’s claim. Satan really is the ruler of this present world (John 12:31; 16:11). Satan works through fallen angels and organized groups. In several places, Paul mentions that Satan’s kingdom is arranged in demonic hierarchies. We might call this Satan’s Command Structure. Other passages which describe the demonic levels of organization are found in Romans 8:38; Ephesians 3:10; Colossians 1:16; and Colossians 2:15. Notice that our fight is not against “flesh and blood.” Often we feel that we are fighting against people. Paul wants us to know that oftentimes our battles are really with the spirits who are operating in and/or around a person. Of course, battles are not always demonic struggles. Many times we’re just fighting with the “flesh”. Jesus taught that some demons are more powerful than others. They are obviously higher up the ladder. Jesus said that some can only be forced out with prayer and fasting. Others are easier to dislodge. Adolf Hitler, aided by the Prince of Germany dabbled with his closest officers in witchcraft and mind numbing drugs: fifty million people died. Joseph Stalin worked with the Prince of Russia to murder thirty million people during and after WWII. Demonic inspired leaders led by the Princes of Sudan, Uganda, the Congo and Cambodia committed genocide murdered millions of men, women and children. It’s impossible to describe Al Qaeda or ISIL as nations. They are demonically inspired terrorists united under a single set of beliefs that transcends national lines. Nevertheless, for those nice to see, the Princes of Al Qaeda and ISIL are hard at work. The demonic spirit who rules over Singapore, “Pa”, demands worship above all other gods. In Tibet demonic powers have ruled over the nation for ages. In Indonesia’s “cities of devils” demonism, witchcraft and spiritism hold sway. In Revelation Chapter 12, Satan, who was identified by Paul as the Prince of the Air, is kicked out of heaven to the earth where he instigates unimaginable horrors. In Revelation 20, Satan and his Rulers, Authorities, Powers and Forces of Evil are judged by God and cast into the Lake of Fire. 1. We live by the principles of the kingdom of God in order to push back the Darkness. 3. Every demonic issue is a prayer project. So, we pray daily for spiritual battles to be won worldwide. Personally, I find it encouraging to pray for victory for my guardian angel as he fights spiritual battles on my behalf. I’d like to think that he and I are close friends. 4. We use every means possible to restore truth, values and justice to our nation. 5. We utilize Jesus marching orders as recorded in Luke Chapter Four and Isaiah Chapter Sixty-One to preach the gospel to the lost and care for the hurting and for the victims of our society. 6. We Christians must love each other according to Jesus’ words in John 13 so that we may show the world the attractive, agape love of Jesus. If you were wondering why angels do not win more battles, it is because Satan and his forces now rule over the world. So what good is it to have angels fight? The answer is simple. Think how much worse off the world would be without Angels struggling against the Evil One and his minions. This coming a time when God will hold back evil; but that day is yet to come. You may or may not agree with all of his theology and/or biblical interpretations. That’s okay. What you will receive is realistic feeling and insight into the spiritual battles between Angels and Demons which affect us all. 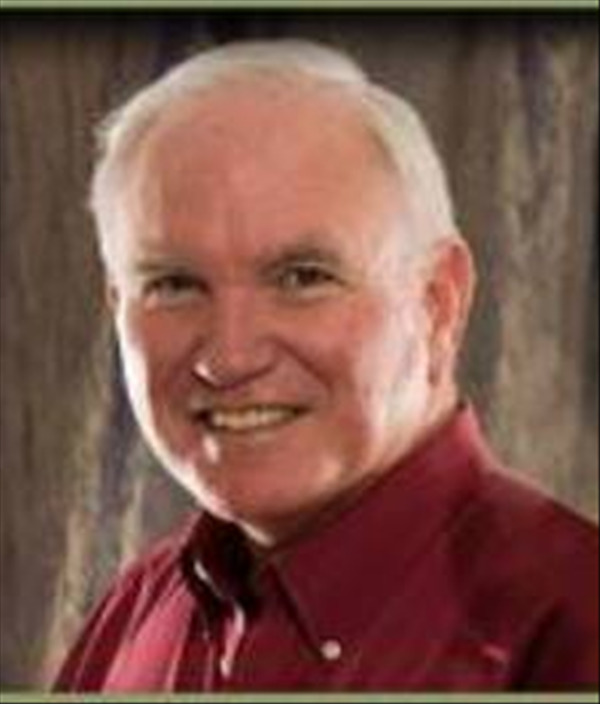 Dr. Roger Barrier retired as senior teaching pastor from Casas Churchin Tucson, Arizona. In addition to being an author and sought-after conference speaker, Roger has mentored or taught thousands of pastors, missionaries, and Christian leaders worldwide. Dr. Barrier holds degrees from Baylor University, Southwestern Baptist Theological Seminary, and Golden Gate Seminary in Greek, religion, theology, and pastoral care.